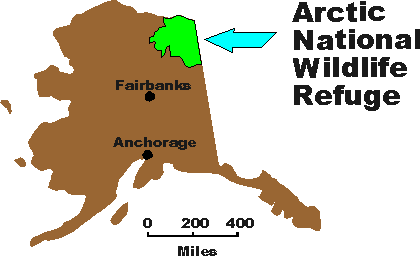 Click to open full-screen shaded relief map of the Arctic Refuge and surrounding regions. 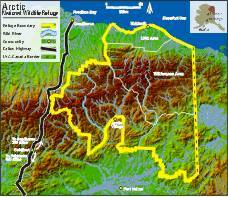 The Arctic National Wildlife Refuge is located in northeastern Alaska. 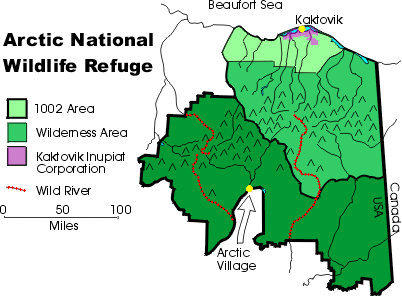 Management designations within the Arctic Refuge. 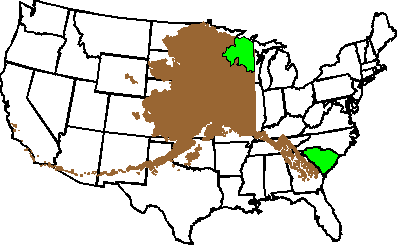 Caribou calving areas from 1983 to 1999.